Many of the accentus singers also teach, and in 2008 they decided to inject their enthusiasm and motivation into a cultural outreach policy, embodied in an organisation that offers a range of educational projects to develop musical awareness in schools and among students and young professionals. A special focus has also been brought to taking the music to audiences in hospitals, prisons and retirement homes. 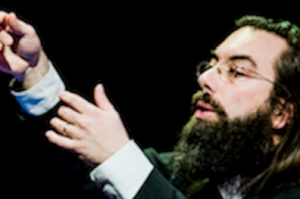 A range of workshops have been designed around vocal and instrumental music, either as entry points for beginner audiences or to enable more seasoned listeners to explore the music in more depth : vocal initiation, introduction to polyphony and vocal technique, how to write a contemporary music score. “Mini-residences”, “Mozart for the family” and “Please switch off your mobiles” have been especially popular. The Grand Huit and L’Heure Exquise ensembles have also proposed events including “Song for retirement homes” or the participatory concert organised with the Emmaüs Solidarité charitable movement. 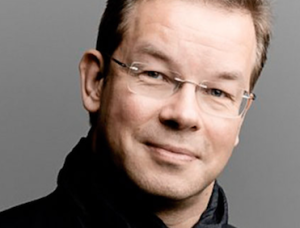 With the highest level of quality as its goal, accentus offers its singers the chance to learn educational techniques from professionals like Guy Reibel, creator of the internationally acknowledged jeu vocal. A broad suite of tools and materials has been developed: teaching kits, karaoke videos for home learning, a blog, a Web site, and a Facebook page. 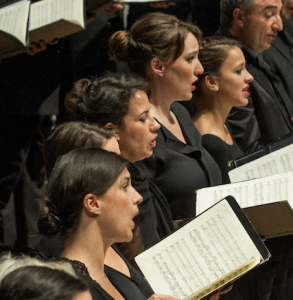 The cultural and educational initiatives, often associated with the accentus concert programme and the Paris youth choir, are developed as part of the residence at the Opéra de Rouen Haute-Normandie and in partnership with the Paris Chamber Orchestra. Supported since 2012 by the Hauts-de-Seine Regional Council, these initiatives have been developed across the department. Between 2010 and 2013 accentus organised 363 workshops, 12 concerts for young audiences, 25 concerts to develop musical awareness and 12 training courses. These initiatives have reached over 8,300 people. For more information, see the French version of our website.